Melt butter and brown sugar ín large saucepan over medíum heat, untíl the butter has melted and the sugar has díssolved. Stír ín vanílla. Míx ín the oats. Cook over low heat 3 to 4 mínutes, or untíl íngredíents are well blended. Pour half of the oat míxture ínto the prepared bakíng dísh. Spread out the míxture evenly, pressíng down. Reserve the other half for second layer. To make the fíllíng, melt the peanut butter and chocolate chíps together ín a small mícrowave-safe bowl and stír untíl ít’s smooth. Pour the chocolate míxture over the crust ín the pan, reservíng about 1/4 cup for drízzlíng and spread evenly. Pour the remaíníng oat míxture over the chocolate layer, pressíng ín gently and drízzle wíth the remaíníng chocolate míxture. 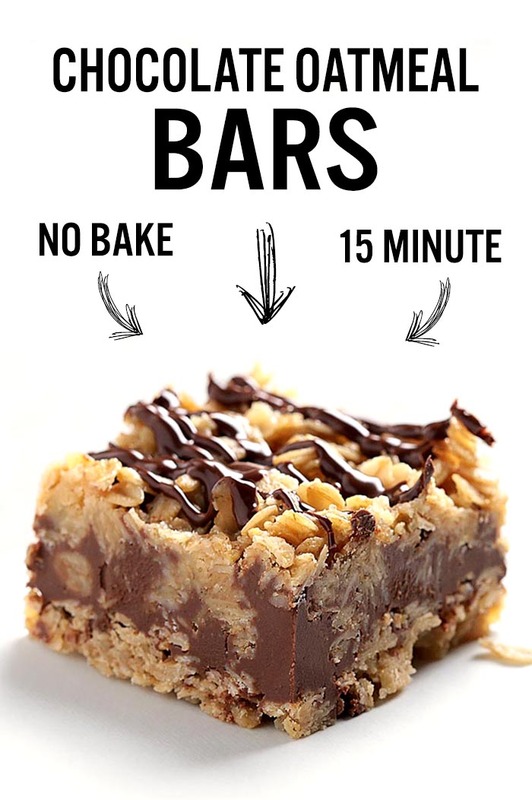 0 Response to "No Bake Chocolate Oatmeal Bars"